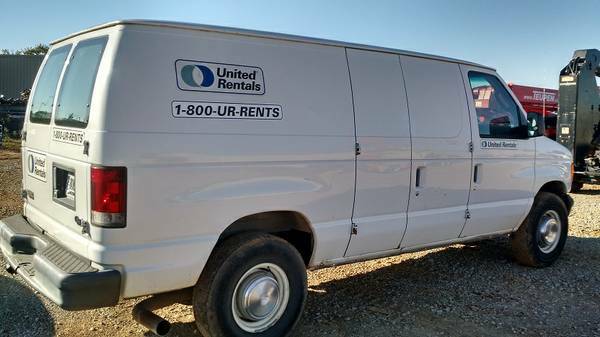 Ford 2004 E350 8’ cargo van. Auto w/overdrive, 6.0 International diesel, 6 door, current annual inspection with approx. 50-70% rubber and current tag. Has wooden cabinets inside that can be used for numerous purposes. 207k miles. Price is $6400 + tax. Serviced at regular, documented intervals. Has a damaged driver’s seat due to sitting down with tools on belt puncturing/tearing the seat, but nothing a good seat cover couldn’t help. Van can be seen/test driven at 376 Dan Tibbs Road, Huntsville. Thank you.